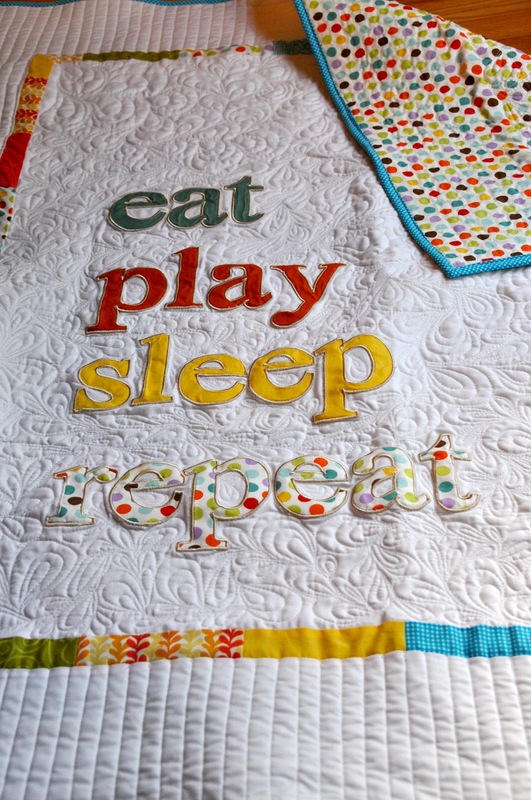 Having made quite a few baby quilts already, I'm always eager to make a new/different quilt. I especially love making baby quilts because they generally come together quickly and are much easier to quilt because of their smaller size. 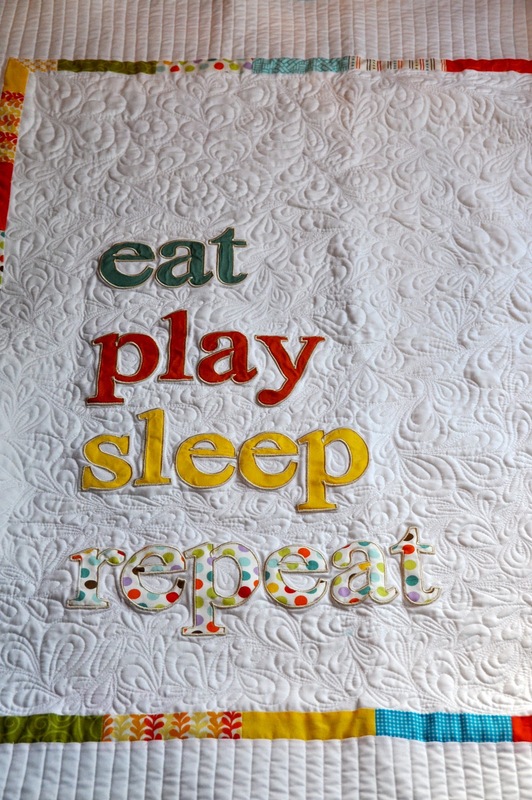 A while back V&Co shared the pattern to the baby life quilt on the Moda Bakeshop, so when my best friend's sister asked me to make her one, I was excited to get to work. Megan doesn't know the gender of her new baby, so she wanted a colorful but neutral design. 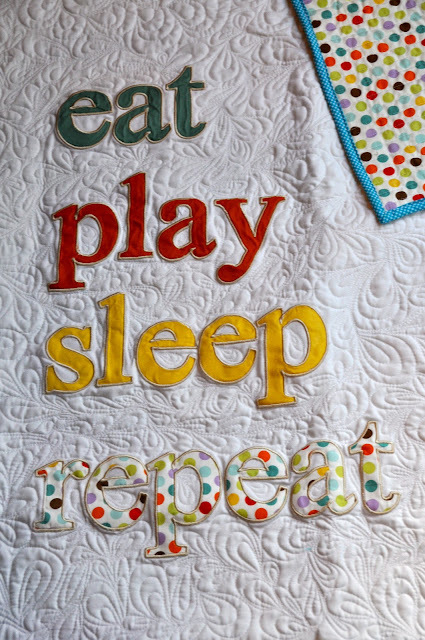 I love quilts with a solid background, you can never go wrong with the crispness of white. 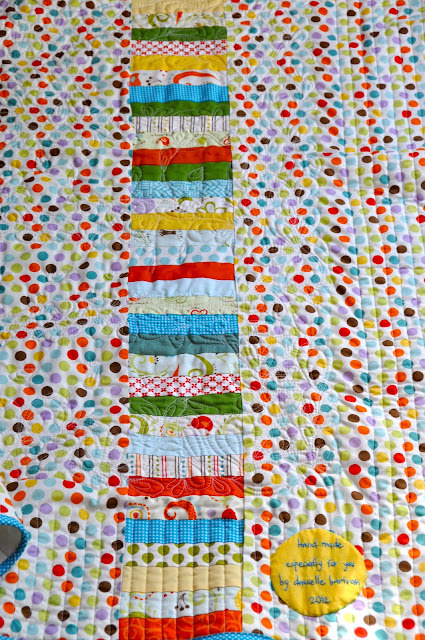 Ultimately, Megan felt Riley Blake fabric's Good Life Dots had the colors she was using in the nursery, so it was a perfect backing fabric. 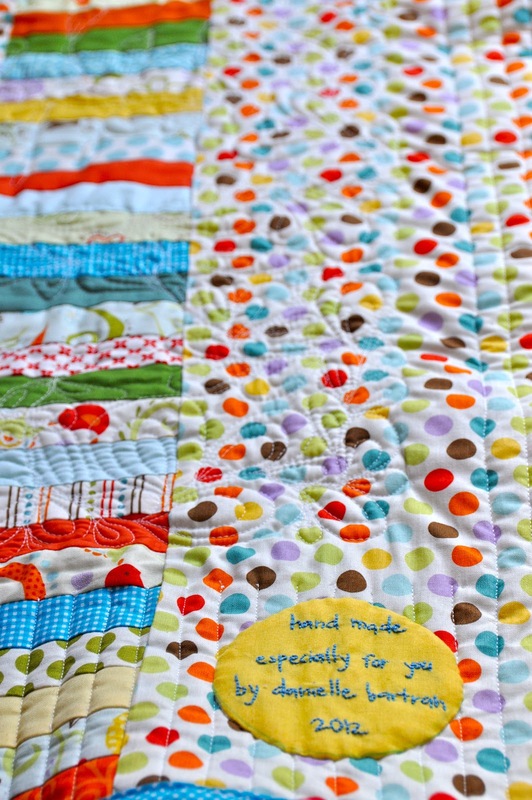 The binding fabric is Michael Miller Mini Mikes Tiny Gingham in Teal. 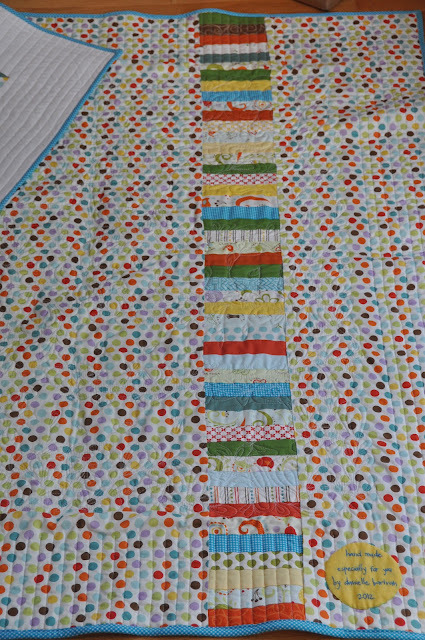 The 1" border is strips I cut from a 5" stacker of Riley Blake Good Life fabrics. The solids came from my substantial fabric stash. The quilting is I guess a loopy paisley pattern, sorry I'm not sure exactly what it is called, but I love the texture and appearance. The outer border is simply straight lines. 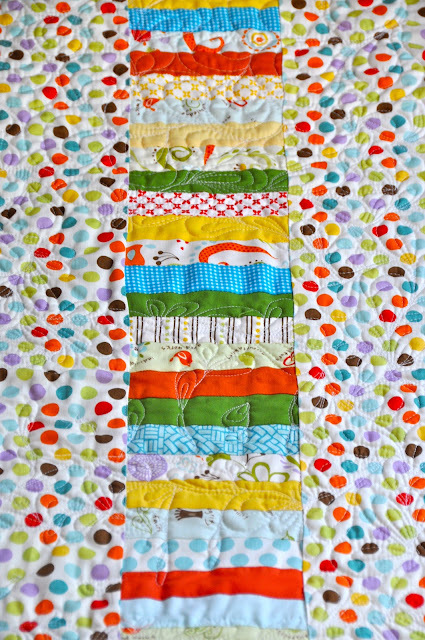 For the backing, I used the leftover strips (from the front border) and added them to the backing fabric. Simple, but doesn't it look great?